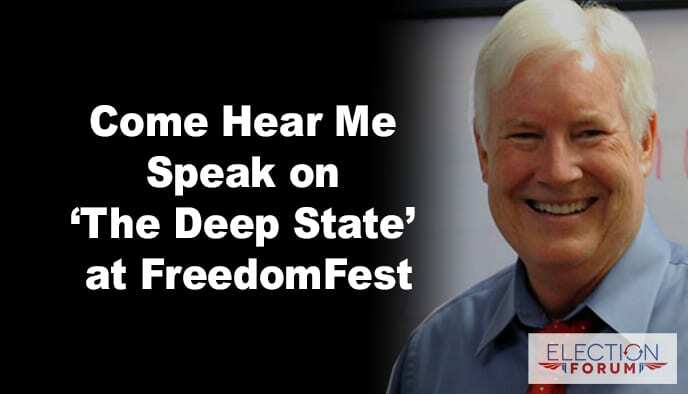 I’ll be speaking from 10:50am to 11:40am on The Deep State: 12 Surprising Dangers You Should Know. … and over 100 other great speakers. Topics will cover politics, economics, investments and investment strategies, and business. If you’re able to attend only one show this year, this is the one. It’s by far the best political/economic/investment conference of the year!